It is that time of year again y'all. I bring veggies and fruit in from the garden and the fruit flies come with it. 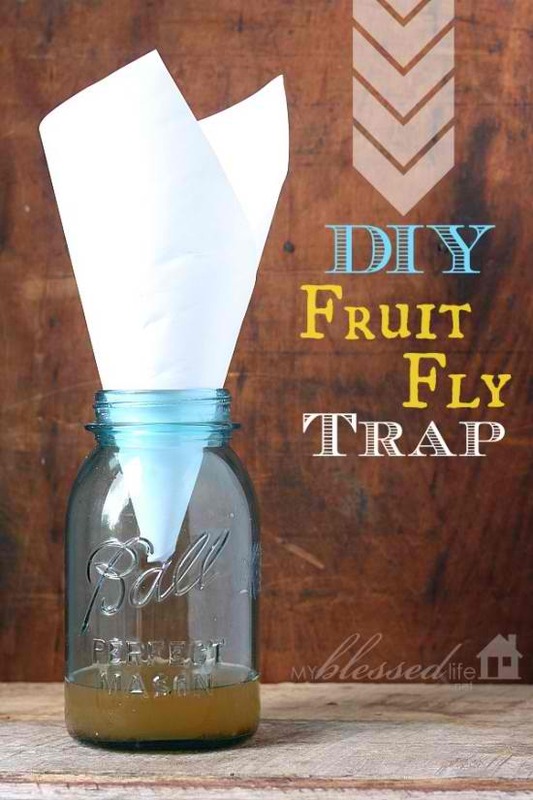 I make a similar mason jar fruit fly trap so when I found this tutorial over at My Blessed Life I knew I had to share. This one really does work y'all. Plus it will look fine just sitting out on your counter!